Everybody knows that the masters in natural medicine are Chinese. But what do they have to do with Intensely Hydrating Body Cream With White Tea out of A Perfect World line, body lotion from Origins? Well, the thing that connects the cosmetic with this Asian country is white tea. 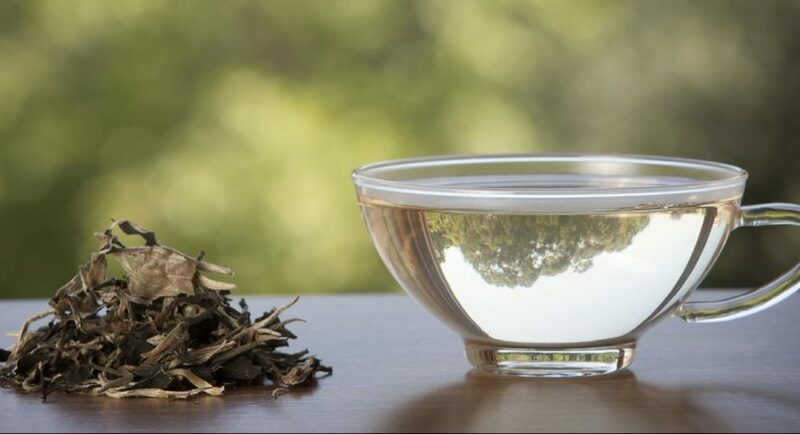 White tea is grown in China, where it is called immortality elixir or a youth elixir. Why? It consists of lots of nourishing ingredients, including antioxidants and vitamin C. White tea indicates medical properties: lowers blood pressure and cholesterol level, minimises risk of cancer, strengthens bones, prevents osteoporosis and arthritis. The most important information for people who care about impeccable skin is that it contains a powerful antioxidant that protects skin from age-accelerating free radicals, and influences young and healthy skin. Because of those properties Origins decided to make white tea, one of the ingredients of Intensely Hydrating Body Cream With White Tea. In Intensely Hydrating Body Cream With White Tea out of A Perfect World line, besides white tea we will find also Shea butter and mimosa. The task of those ingredients is to retain water in a skin cells, smoother of dry skin and provide skin with optimal protection against dryness and irritations. Cosmetic from Origins is recommended in particularly to people with normal and dry skin. Additionally lotion protects against sun radiation and pollution. It doesn’t consists of parabens and phthalates (compounds present in a production of plastic), that is why it can be used by people with very sensitive skin. How to apply Intensely Hydrating Body Cream With White Tea from Origins? All the cosmetics dedicated for hydration of body are better to apply right after bath or in case of dryness. Lotion should be rubbed in skin until it absorbs. It doesn’t leave greasy layer, but moisturises and nourishes skin.